New research into Amyotrophic Lateral Sclerosis (ALS) – also known as motor neuron disease – shows that specific immune cells may help slow progression of the disease, an important step towards developing new therapies to treat patients. The research team investigated the relationship between T-cells and the progression of ALS. The human and animal study found that the CD4+Foxp3+ regulatory T-cells, called Tregs, are closely linked with how quickly ALS progresses. Tregs are regulatory immune cells that are involved in shutting down immune responses after they have successfully eliminated invading organisms from the body. They play an important role in regulating other cells in the immune system, preventing them from attacking the body's own healthy cells and tissues. 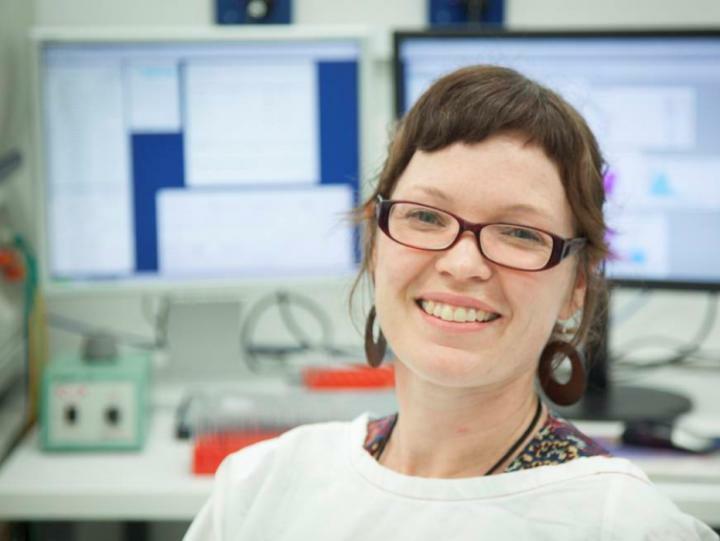 Co-lead author of the study, Dr Fiona McKay from the Westmead Institute for Medical Research, is optimistic this discovery will provide a new avenue to develop urgently needed therapies to treat ALS. "Doctors don't know what causes ALS and there are currently no cures or effective treatments to halt, or reverse, the progression of the disease. "Developing new therapies to treat this debilitating and fatal disease is a major priority for our research team, together with Professor Steve Vucic at the Motor Neuron Disease Clinic at Westmead Hospital. "We wanted to understand the relationship between Tregs and ALS. We measured the levels of Tregs in patients with ALS, and we found that the disease progressed significantly more slowly in patients who had higher numbers of Tregs in their blood. "Our research is exciting because it confirms a significant relationship between Tregs and the progression of ALS in humans," Dr McKay said. The team also studied the relationship between Tregs and ALS in mice, by increasing Treg populations in work conducted in Associate Professor Brad Turner's laboratory at the Florey Institute of Neuroscience and Mental Health, University of Melbourne. "Treg populations were expanded in the mouse model using a treatment never previously used for this disease. Not only did the disease progress more slowly, but the motor neurons were preserved." "This extends the findings of our human studies, and we are now investigating strategies to increase Tregs in patients with ALS. We hope this will ultimately lead to new therapies to treat the disease," Dr McKay concluded. ALS is a neurological disease that attacks the nerve cells in the brain and spinal cord that control muscle movement, causing muscles to waste away, leading to paralysis and death within an average 3-5 years. The disease is progressive, meaning the symptoms get worse over time. The research was a collaboration between Florey Institute of Neuroscience and Mental Health; Westmead Institute for Medical Research; Walter and Eliza Hall Institute of Medical Research; The University of Melbourne; Westmead Hospital; University of Sydney; Illawarra Health and Medical Research Institute; and University of Wollongong. The senior author is Associate Professor Bradley Turner from the Florey Institute, who conducted the animal experiments.